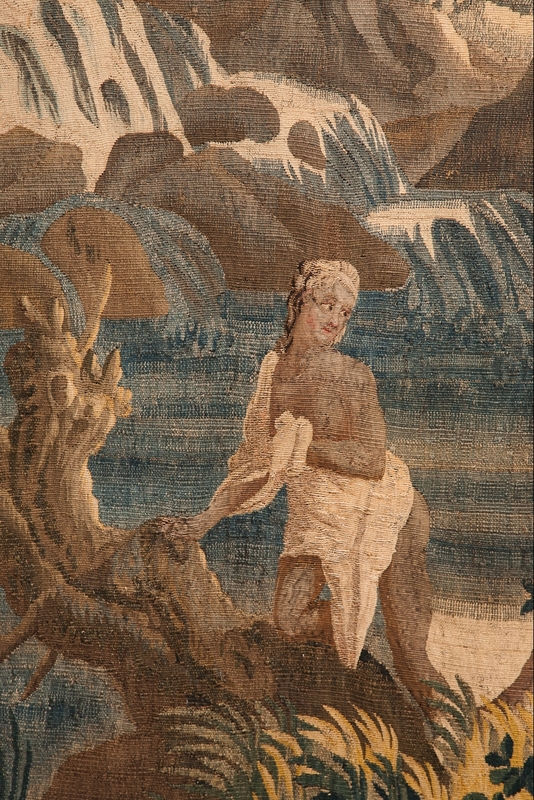 'Le Soir'. 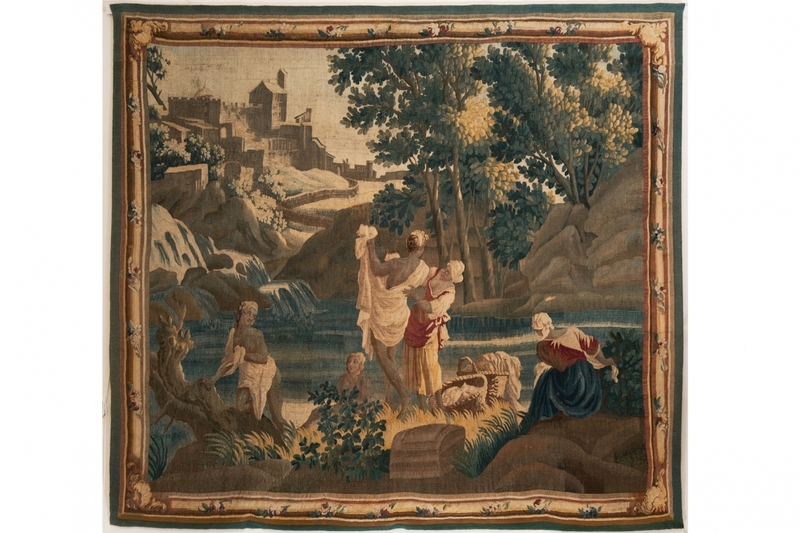 18th Century Tapestry after Joseph Vernet. 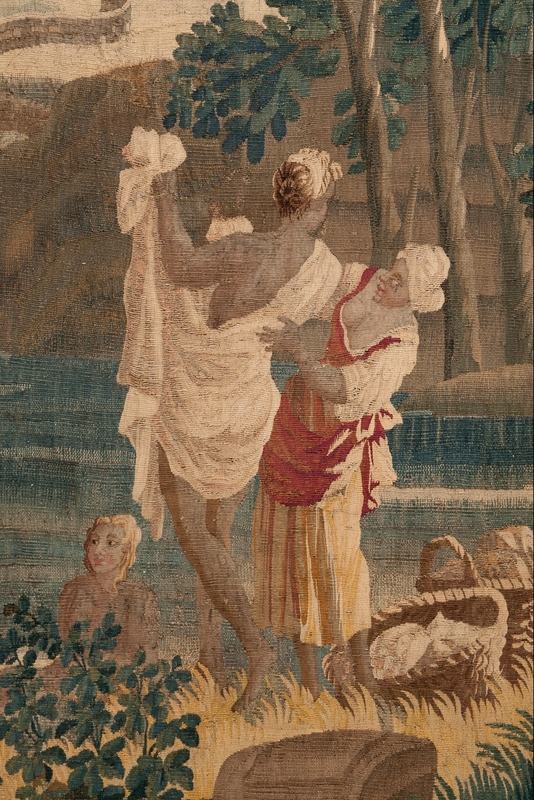 Tapestry woven in wool and silk with female figures bathing by a river surrounded by rocks and trees. 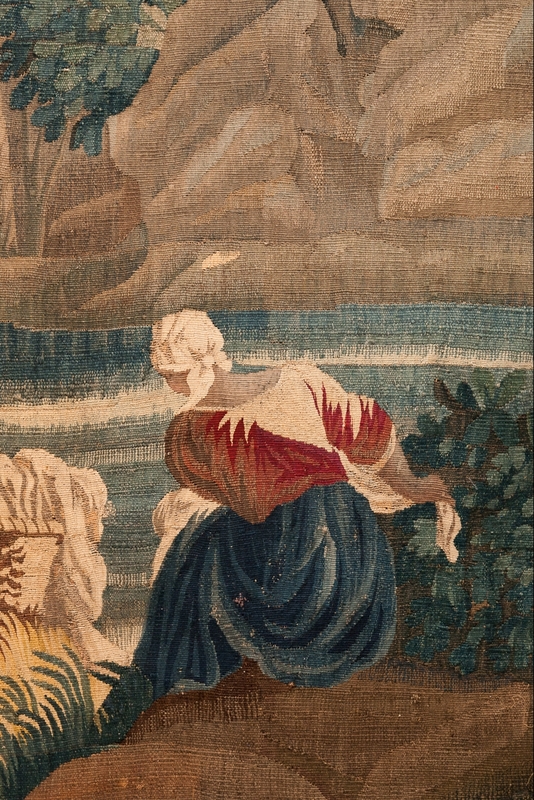 In the background is a village on a hillside. Surrounded by a border decorated with roses. 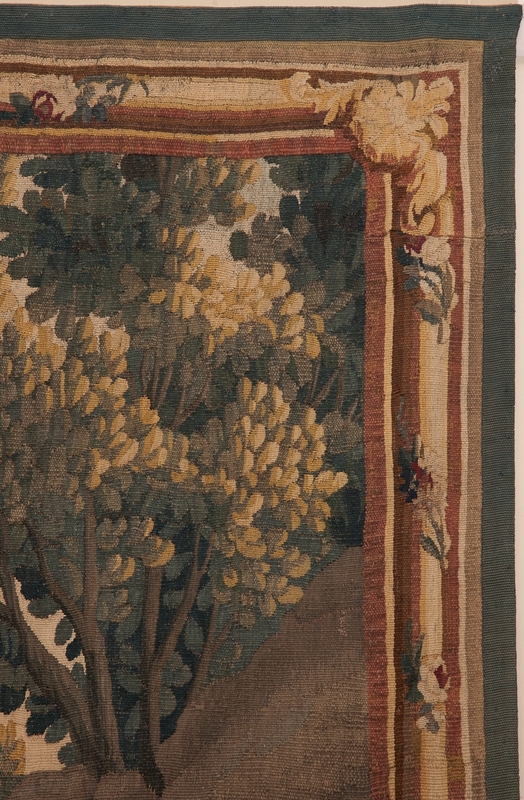 Manufacture d'Aubusson. 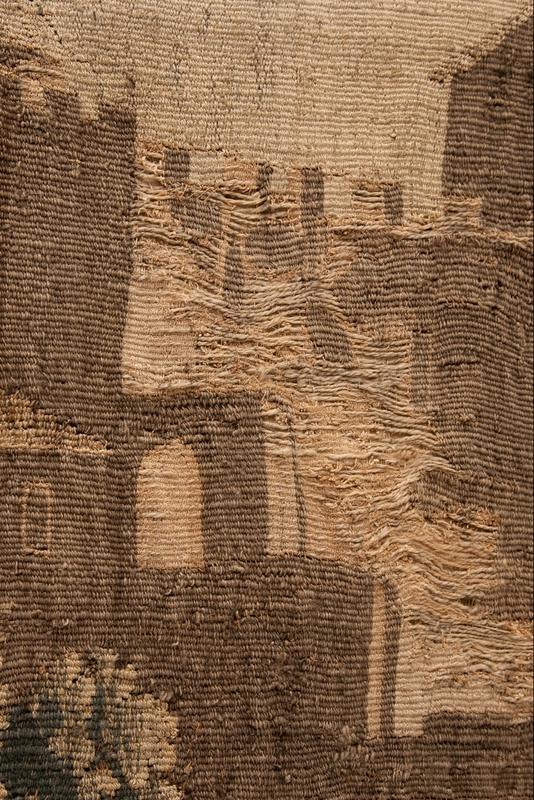 H. 247 W. 275 D. 1 cm. H. 97 W. 108 D. 0 in.